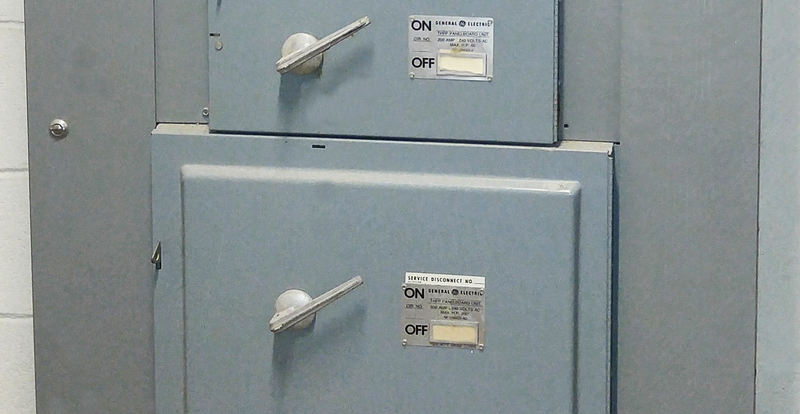 Electrical Panel - Circuit Breaker | Bay State Electric, Inc. Your Electrical panel / Circuit panel is the heart of your commercial property, business or home’s electrical system. It is the distribution center for your electrical needs. As an electrician in Maryland we see that older systems are often under powered and this is why breakers “trip.” Losing power is never convenient and when it happens repeatedly it can cause real issues and loss of productivity. When everyone at the property, business or home knows, “You can’t use those outlets at the same time” it’s time for your circuit panel upgrade. Safety is another good reason for a Maryland electrician to service your electrical panel. Gains from Upgrading your Electrical Panel / Circuits are well worth the home, business or commercial property investment. Safety is an easy reason to see that it’s worth updating your panel but there are others. Making your electrical system more productive with less down time and interrupted projects. If you own a home, business or commercial property the advantages are rather obvious; happy clients and residents, renters, customers and visitors. Making a terrible first impression with a undersized or dangerous electrical system can be detrimental to your goals. Whether selling a home or signing a new renter, client or business your electrical system has to be safe and dependable for their needs. Older homes, businesses and commercial properties are most always undersized. Electrical needs we much lower a few decades ago. Builders trying to cut corners and just within the code of the day make for a weak and often dangerous condition today. Upgrading your electrical panel and corresponding circuits – if need be, is a simple, cost effective step that our commercial & residential electricians can provide. Let us help to increase your electrical system to be a little safer, more efficient and increase your home, business or commercial properties value.